This year I am trying to be much less materialistic. I would love a home which is clutter free and I would love a home which had less contents in it. Due to this, this year I am aiming to clear my house out. By the end of the year I would love to have completed my decluttering journey. This year I am going to focus on clearing a room a month. Some rooms in our house are more cluttered than others so some months I may fall short of decluttering less. This month I want to start decluttering the living room. As a whole, it has barely any clutter in it however I have lots of old games, DVD's and a few of Maxwell's toys which need a new home. On my journey I will be sending my clutter to 3 places. The bin, the charity shop or a selling network. 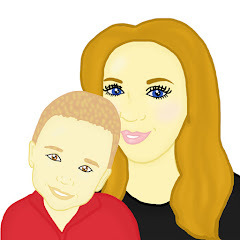 Overall I would love to make as much money as possible from our clutter so I am able to spend the money on a family holiday, a new car or days out that we will enjoy as a family. With this in mind I will be trying to sell as much as I can that I feel has a value. 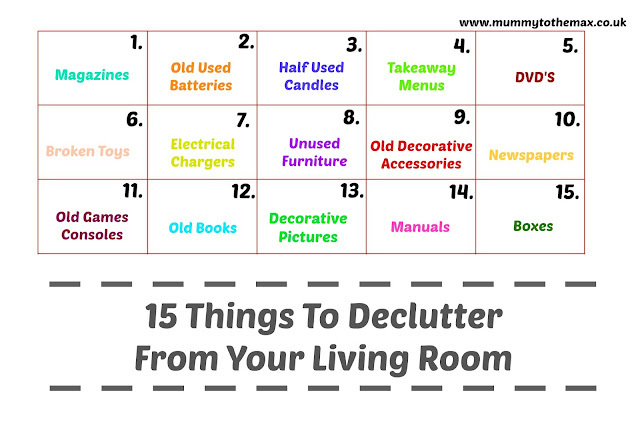 This month I aim to declutter at least 30 things from the lounge. 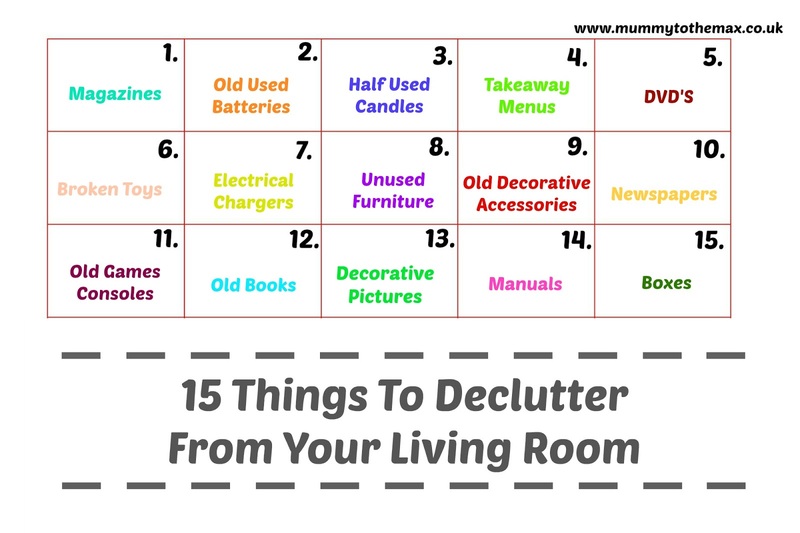 I have created a table to work from to ensure that I stay on target with decluttering and I do not miss any potential clutter. With 15 things to remove, I feel like I have plenty of time to achieve what I want to achieve. Come back in March to see how much I manage to declutter! 2017 - A year I will create a minimalistic home. Now that made me laugh, my living room is full of old used batteries thanks to my son. I shall have to take a leaf out of your book and get rid!